Author(s) Naismith, Rory; Woodman, David A. The workings of royal and ecclesiastical authority in Anglo-Saxon England can only be understood on the basis of direct engagement with original texts and material artefacts. This book, written by leading experts, brings together new research that represents the best of the current scholarship on the nexus between authority and written sources from Anglo-Saxon England. Ranging from the seventh to the eleventh century, the chapters in this volume offer fresh approaches to a wide range of linguistic, historical, legal, diplomatic and palaeographical evidence. Central themes include the formation of power in early Anglo-Saxon kingdoms during the age of Bede (d. 735) and Offa of Mercia (757-96), authority and its articulation in the century from Edgar (959-75) to 1066, and the significance of books and texts in expressing power across the period. 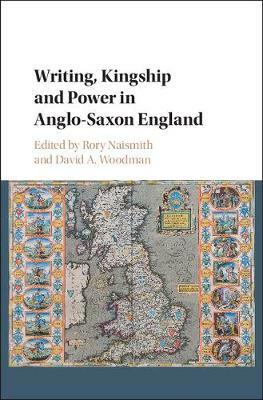 Writing, Kingship and Power in Anglo-Saxon England represents a critical resource for students and scholars alike with an interest in early medieval history from political, institutional and cultural perspectives.